Hi everyone! 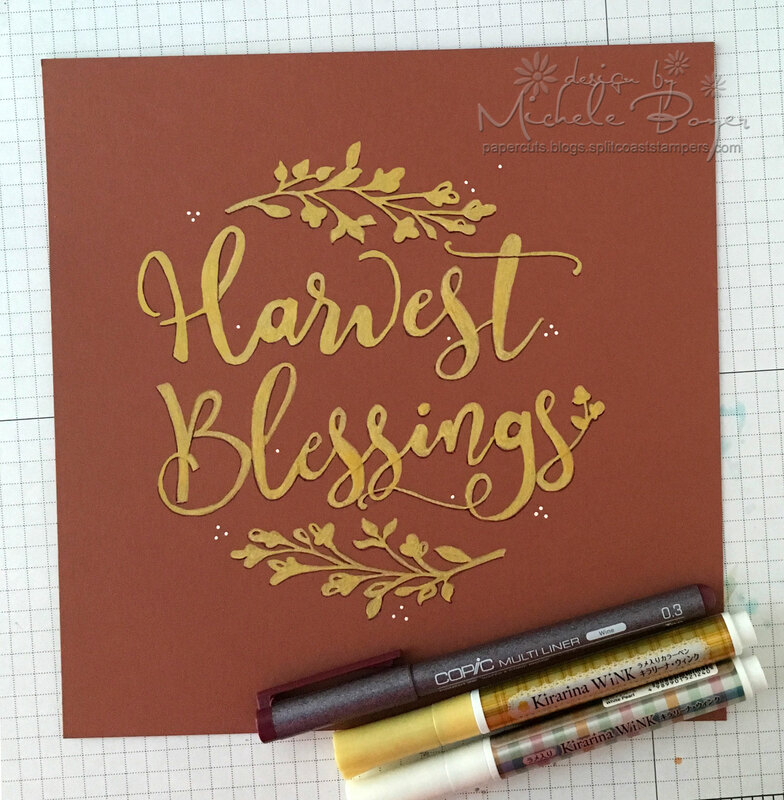 With the cooler weather finally arriving, I’m in the mood to create something “fall-ish.” 🙂 I decided to make a fall greeting for framing using darker card stock, Kirarina Wink metallic pens and this Harvest Blessings digital file from SVG Salon. 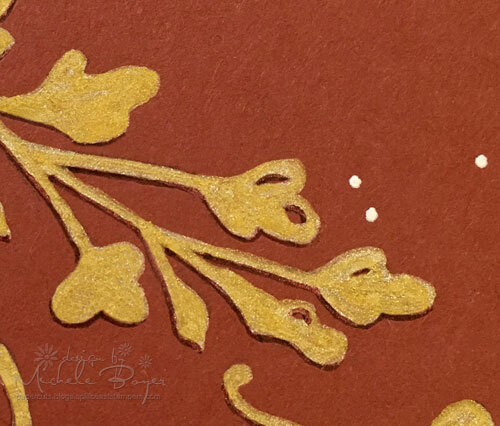 I used Kirarina Wink Gold for the greeting with small dots added using White Pearl. I also used a 0.3 Wine inking pen to add a bit a definition. 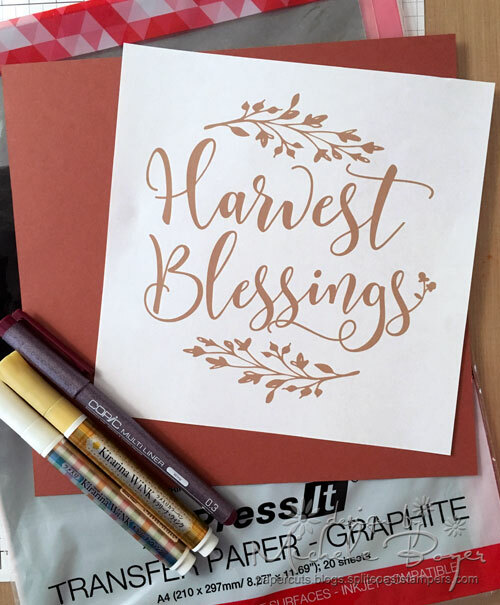 I first printed the greeting onto regular copy paper. 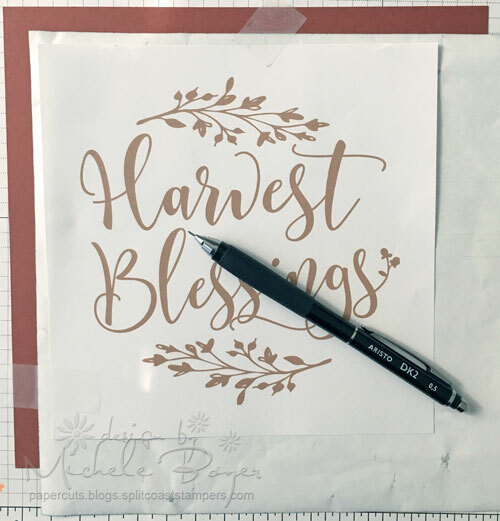 Tip: When removing the transfer paper from the package, make certain you are only removing ONE SHEET. 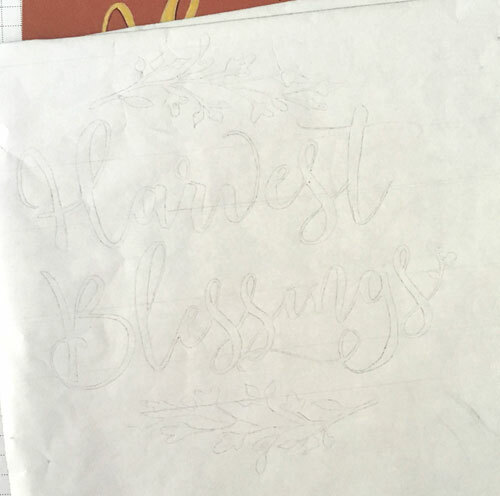 Otherwise, you will end up tracing your image onto the back of another sheet of transfer paper (shown above). Once traced onto the CARD STOCK (haha), I carefully filled in the areas with a Gold Kirarina Wink. 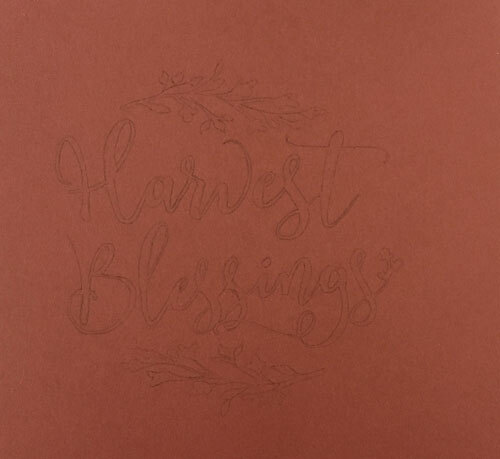 Once filled, I added a bit of definition with a 0.3 Wine Multiliner then added some random scattered dots of white. While it can be kind of scary sometimes to share zoomed in shots, I wanted to show how wonderfully the Kirarina Wink covers darker card stock. Also, it’s hard to capture in the photo, but the ink holds tiny specks of glass, creating a soft, shimmery appearance. The pens can work great on glass, wood, plastic and photos! This entry was posted in Clean and Simple (CAS), Digi Image/Template, My Designs, Tutorials. Bookmark the permalink.